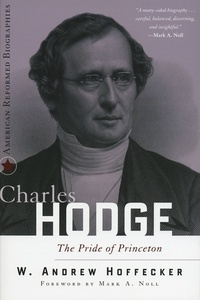 Charles Hodge (1797–1878) is regarded by many as the most significant American theologian of the nineteenth century. He drove forward the rapid growth of theological education and contributed to Presbyterianism’s wide-ranging influence in public life. His advocacy of a Reformed orthodoxy combined with evangelical piety attracted a broad following within Old School Presbyterianism that spilled over into American evangelicalism as a whole. Hodge helped to define a distinctive ministerial model—the pastor-scholar—and his fingerprints can be seen all over the Reformed Christian scene of today.